Make a lasting gift to the sanctuary and join the Primate Troop Legacy Circle. In 2004, the sanctuary received a donation from the estate of Marion Schmidt, who had been a dedicated supporter of Peaceable Primate Sanctuary in addition to other animal charities. Ms. Schmidt’s generous bequest allowed us to build our office, food preparation and animal building. After our construction was completed we still had funds left to install an endowment that will assist us in providing daily care to our residents. Ms. Schmidt was a generous and caring person during her lifetime and her lasting legacy will always be a part of the sanctuary. 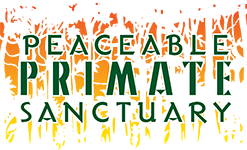 Peaceable Primate Sanctuary was created to provide a sanctuary for baboons retired from use in biomedical research, as pets or entertainers. Our organization was incorporated in 1997. Peaceable Primate Sanctuary was recognized by the IRS as a 501 (c) 3 non-profit organization in 2000 to carry out its charitable and educational mission. Our eighty-acre sanctuary currently houses 16 residents, we have the infrastructure in place to expand the sanctuary so we can provide a retirement to the many primates that need us. By naming Peaceable Primate Sanctuary as a beneficiary to your estate you help us to provide veterinary care, enrichment activities and daily care. 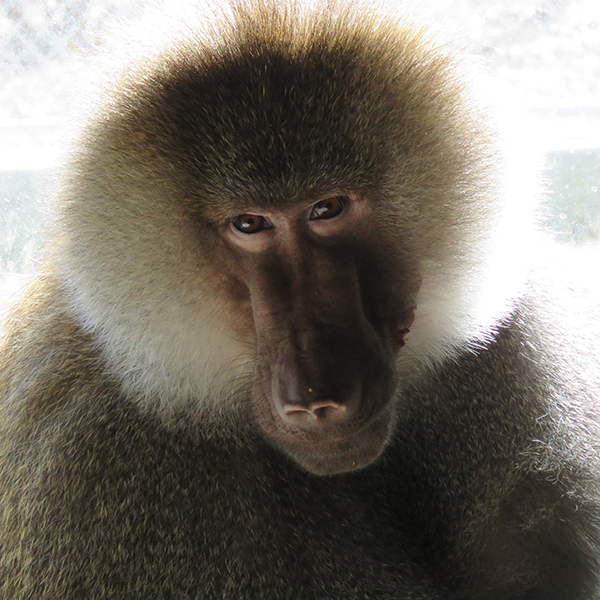 Peaceable Primate Sanctuary appreciates your current generosity and support. By including Peaceable Primate Sanctuary in your will, you continue to reinforce our vision far into the future. Making a will need not be costly and can be deeply satisfying. By providing a gift to Peaceable Primate Sanctuary you gain the satisfaction of knowing you strengthened our vital work. A bequest to Peaceable Primate Sanctuary in your will is an easy way to provide a secure future for animals in need. There are several ways to provide for non-profit organizations like Peaceable Primate Sanctuary through a bequest in your will. 3) A percentage of your residuary estate. No matter how large or small, every gift is valuable to the animals at Peaceable Primate Sanctuary. Your bequest can make a difference. Our financial advisors at UBS have made themselves available to discuss your options on making a gift or bequest to the sanctuary. If you are interested in receiving more information, please contract Lidia Villalobos at (312) 525-4609 and mention Peaceable Primate Sanctuary. And remember that any donation or the value of any property you leave to Peaceable Primate Sanctuary will be tax deductible. Peaceable Primate Sanctuary, Inc. is a non-profit organization under IRS code 501(c)(3); Federal ID # 36-4445147. Contact Scott Kubisch with any questions and to let us know that you’ve included Peaceable Primate Sanctuary as part of your estate planning, making you a member of the Primate Troop Legacy Circle skubisch@baboonsanctuary.org (574)​​ 896​-0480. If you have plans already include a gift to Peaceable Primate Sanctuary, please let us know so that we can thank you and be sure to honor your wishes. Please fill out the form below, so that we may welcome you into the Primate Troop Legacy Circle. Peaceable Primate Sanctuary may include my (and, if applicable, my spouse's) name in the Primate Troop listings. (Neither amount nor designation, if provided, will be included on the listing.) I am honored to be included in the Primate Troop; however, I prefer to remain anonymous. Please tell us, in confidence, more about your estate provision for Peaceable Primate Sanctuary. The following information is optional.